Being a parent is one thing, but being good at it is quite another. It doesn’t help that parenting practices keep changing, and they have changed drastically over the past few decades. Ryan Jenkins, a keynote speaker and expert on millennials and the so-called Generation Z, told psychotherapist and lecturer Amy Morin in verywell family that millennials now make up the majority of new mothers, with 83 percent of new mothers being of that generation. “What makes [the millennials] stand out from previous generations is their high-tech and hyper-connected upbringing,” said Jenkins. He went on to say that the way millennials think, communicate, work and behave as parents is fundamentally shaped by technology and the internet. While most millennials are determined to pursue a career or maintain a business, they also prioritize becoming good parents. But instead of becoming ‘helicopter parents’ (those who are much involved in children’s experiences and problems, including in their education) like the previous generation, millennials tend to be ‘drone parents’. The latter count on technology to keep track of their children’s whereabouts, mood and even heartbeat. Meanwhile, the offspring of millennials, who fall into the Generation Z, are used to being tech-supervised since they were babies, with such devices as wireless baby monitors, smart home cameras and cell phone trackers. Furthermore, millennial ‘drone parents’ also rely on technology to nurture their children. 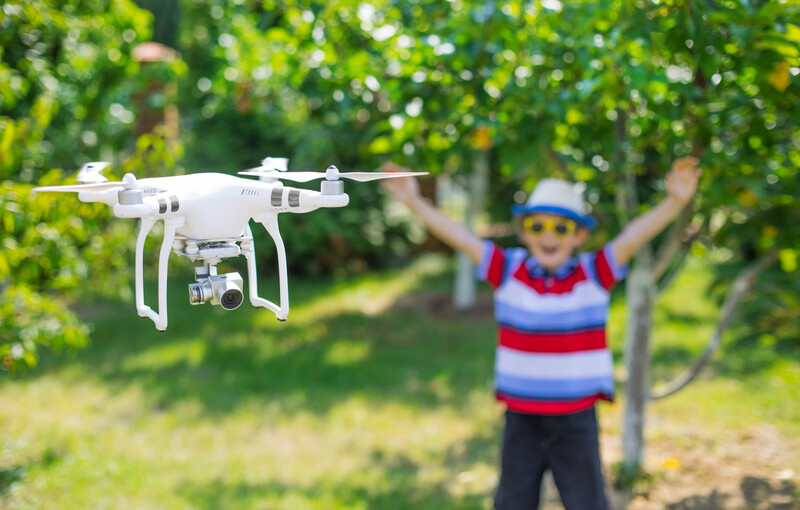 Now that technology allows them to monitor their children from afar, drone parents consult parenting blogs or apps to solve problems and maximize their children’s potential. Although parents are out and about at work or tending to business, children are supposedly aware that whether or not they allocate enough time to study is recorded by cameras. Parents could also monitor what their children are reading and downloading. Technology can also be applied to discipline, for example by grounding the children using geofence (a location-based service in which an app triggers a preset action when the tracked device or object enters or exits a virtual boundary) or limiting the children’s online activity. While drone parenting gives children flexibility to work, play and even arrange their schedules, it has its plus and minus points. Child and family psychologist Vera Itabiliana Hadiwidjojo of the Institute of Applied Psychology of the University of Indonesia (LPT-UI) lists the plus and minus points of drone parenting in the Education and Culture Ministry’s Forum Sahabat Keluarga (Family’s Best Friend Forum). Slightly loose supervision makes children comfortable to express their feelings and opinions. They are accustomed to discussion with parents, hence more open-minded and intelligent. The children are also capable of understanding and giving feedback to problems. Tech-savvy millennial parents are likely to raise tech-savvy children, too. The children could also be exposed to educational games and videos available in internet. The freedom of speech they are entitled to may drive the children to become rebellious and have the tendency to break rules at home, school or in other social settings. Being familiar with technology the moment they are born, it is possible that the children suffer from speech delay due to gadget overuse. The delay may become worse if parents also use electronic devices to teach their children the alphabet, colors, English and puzzle-solving. Vera said to make up for what’s lacking in drone parenting, parents have to set boundaries and discipline the children, so that they could develop charming personalities. House rules parents should set for their children include tidying up their toys after playing and sleeping at a certain time (for instance 9 p.m.) every night. “This is to ensure that children are used to obeying rules later in life,” said Vera.